Powerful business management. ABSS Premier gives you the power to manage even the most complex medium-sized business. 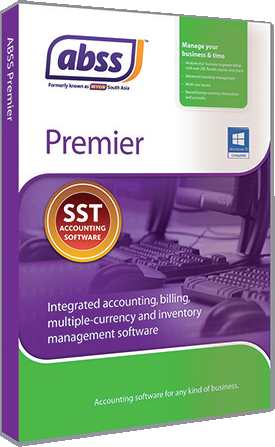 Premier has all the features of ABSS Accounting, and includes multi-user, multi-currency, mutli-location invenory tracking functionality, and professional time billing. It can be run on a client-server network or in a peer-to-peer configuration. Invoice in units as well as hours. The trial version of ABSS Premier is a fully functional version.